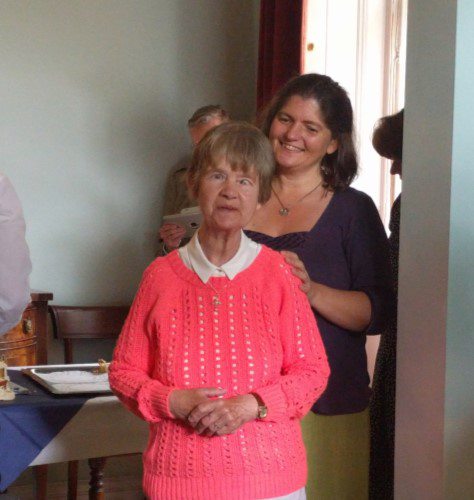 At the end of July, Unitarians in Edinburgh said goodbye to our much-loved minister, Rev Maud Robinson, who had been our minister since 2008. 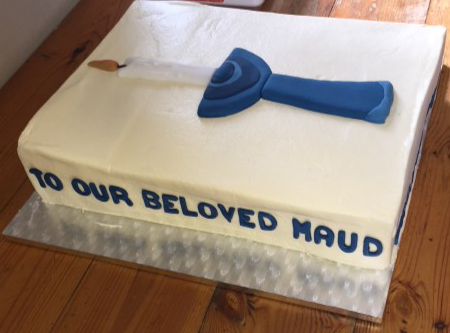 It was Maud’s first ministry and we are immensely grateful for the caring compassion she showed towards the congregation. We will all miss her, and we wish her well in her next ministry. Maud completed her ministry with us on 31 July. She led an inspirational Sunday service, entitled ‘ Held Together by Patches’ (see photo of Maud’s patchwork trousers on page 6). 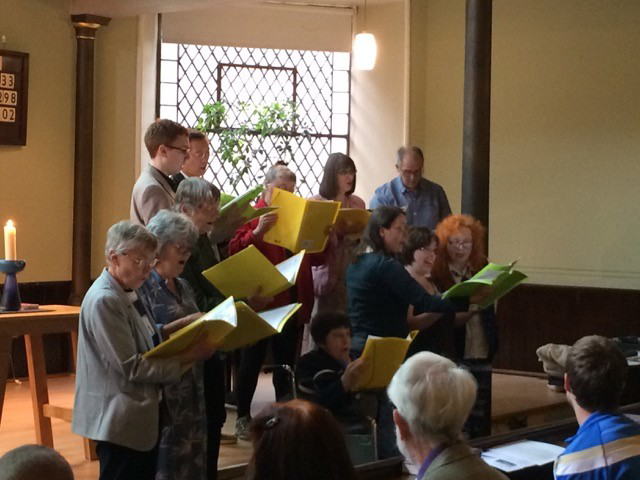 During the service, The Chalice Singers, led by Lesley Hartley, contributed two songs. 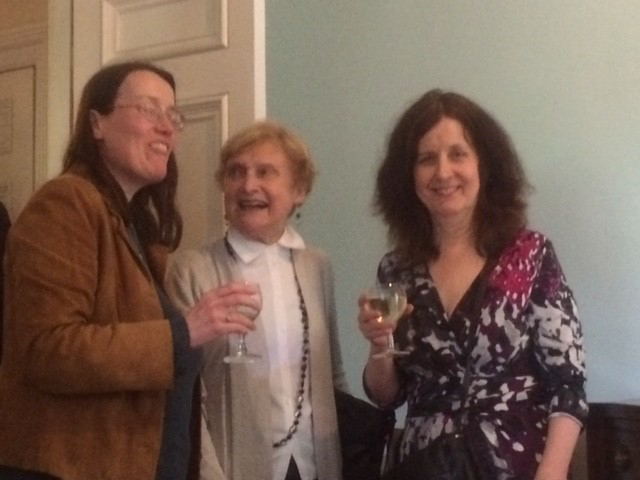 The service was followed by a gathering at the home of Bryan Wade, where we all enjoyed a delicious afternoon tea. 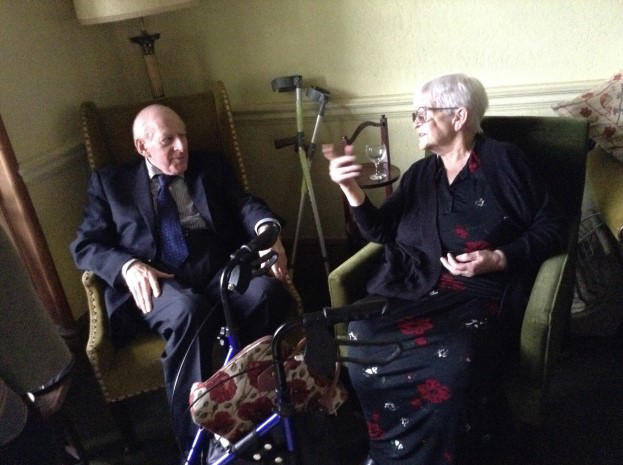 It was appropriate that we said ’goodbye’ to Maud at Bryan’s home, because when Maud candidated in 2008, she enjoyed a social occasion with the congregation at his home. We are most grateful to Bryan for his generous hospitality. 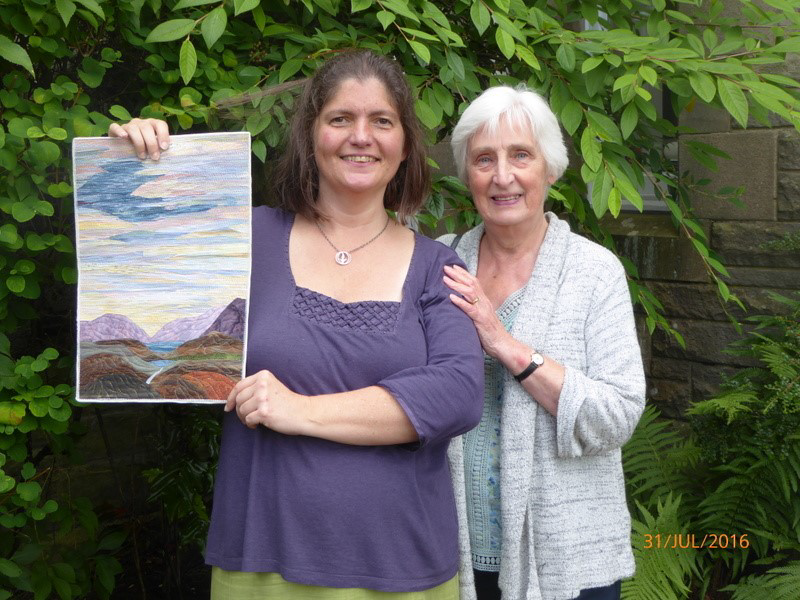 At the end of her service on 31 July, Maud entreated us to come to Sunday services as often as you possibly can, whether or not you are inspired by the theme; communicate with each other; share the load; ask what you can do to contribute; but most importantly, continue ministering to, and loving, each other’. 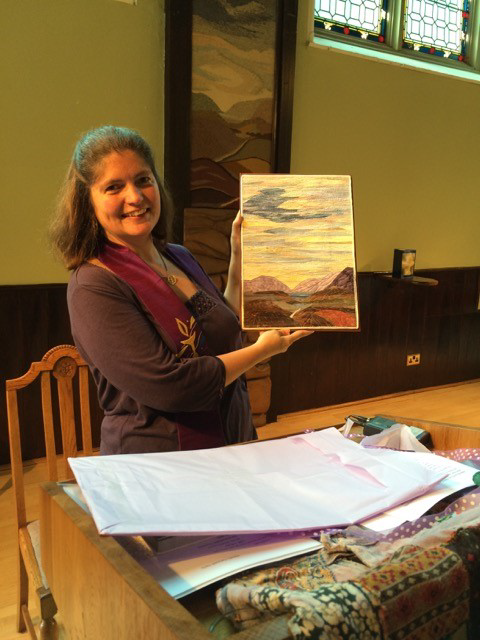 During the service, Maud received a number of gifts from the congregation. 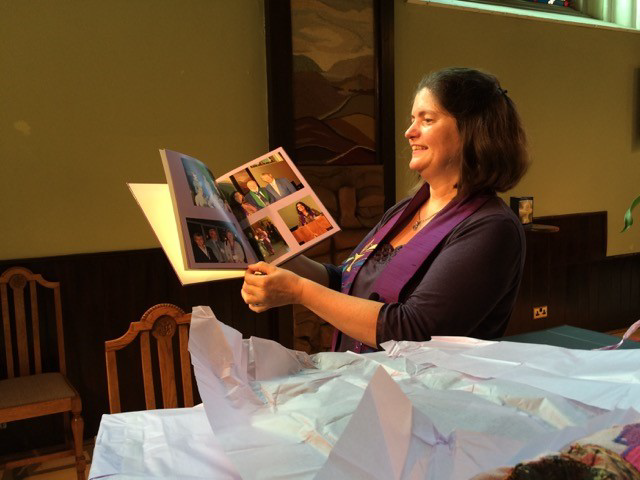 These included, a photographic record of her ministry, prepared by Mary McKenna; a specially commissioned tapestry; (see page 6); a book containing messages from the congregation (see page 6 for Alma Shearer’s contribution); and a generous cheque. During the afternoon tea, Maud received a further gift, a handbag/ backpack. 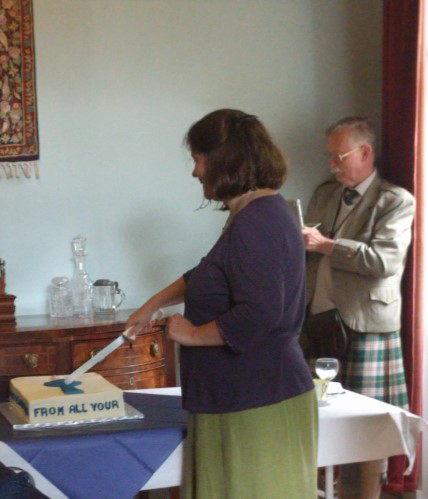 Lesley and Roger Hartley commissioned a cake decorated with a chalice which was not only beautiful, but also delicious. Below are some pictures of Maud’s leave-taking. 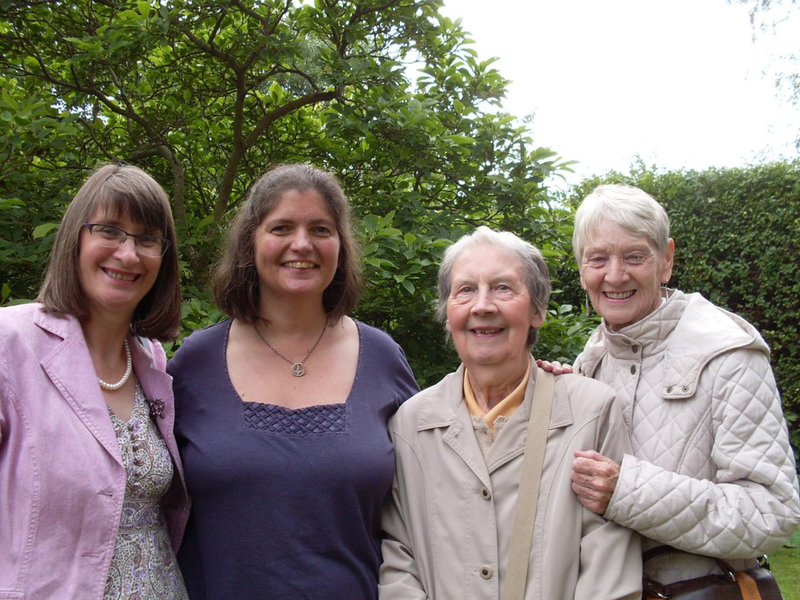 The photographs were taken by Jane Aaronson, Jon Bagust, John Clifford, Kate Foggo, Roger Hartley and Kirsty Murray, The photograph on this page, taken in the garden of Bryan Wade’s home, was supplied by Margery MacKay.